Sites on the Winning Poker Network are supporting the forthcoming OSS Cub3d tournament series with a special reload bonus and three leaderboard promotions in which a total of thirty players will win seats in four $1,000,001 guaranteed Million Dollar Sunday events. The series starts this Sunday, so don´t miss it! 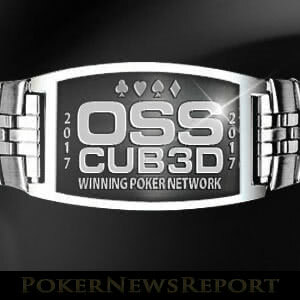 The Winning Poker Network´s OSS Cub3d series is a three-tiered tournament series that was originally divided into mini buy-in, mid buy-in, and high buy-in events. For this fifth running of the series, the inclusion of five Million Dollar Sunday events has compromised the distinction between buy-ins, but not removed the opportunities for players to win substantial amounts for a relatively small investment. During the opening week of OSS Cub3d – the Mini Online Super Series – fifty-one events guarantee prize pools in excess of $3.5 million, plus ten lucky players will win the opportunity to play in a $5,000 buy-in cash game – and keep what they win. Buy-ins for the events start at just $0.06 and, for the higher buy-in events, Americas Cardroom and Black Chip Poker are hosting a comprehensive satellite schedule. But that´s not all. From tomorrow (Friday) until next Wednesday, players at Americas Cardroom and Black Chip Poker have the opportunity to reload their accounts and claim an OSS Cub3d reload bonus up to $200. Furthermore, the Network will be running a leaderboard competition through the Mini Online Series in which the top ten players will each receive four tickets to future Million Dollar Sunday events. If you have an existing real money account on a site affiliated with the Winning Poker Network, all you have to do in order to claim a 50% reload bonus up to $200 is visit the cashier and make your deposit using the reload bonus code “MILLIONS”. The bonus amount will automatically be added to the “Active Bonuses” section of the player admin console, and you have thirty days to clear it. The bonus is cleared similar to most bonuses – by earning Award Points. Each time you earn 120 Award Points, $5.00 will be transferred from your outstanding bonus to your real money account. Please note no Award Points are awarded in games of Jackpot Poker and Sit & Go 2.0 games, but – with the OSS Cub3d series just about to start – there is a fantastic choice of alternative ways to earn Award Points. 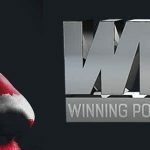 If you do not yet have an existing real money account with any Winning Poker Network site, it is possible to claim a 100% bonus on your first deposit by following the instructions in either our Americas Cardroom review or Black Chip Poker review. As the first deposit bonus is substantially bigger, you are given sixty days to clear as much of it as you can. Then what happens is the number of entries is divided by your finishing position – for example if you finished twentieth in a tournament with 2,880 entries, this would give you a figure of 144. You multiple the square root of 144 by 5 (12 x 5 = 60) and then multiply it by the Entry Cost Factor. Therefore, if you were playing in a tournament with a buy-in of $11.00, you would be awarded 120 leaderboard points. It all sounds a little convoluted, and it does favour players who compete in high buy-ins events such as the Million Dollar Sunday. However, the prize at stake – four Million Dollar Sunday entries – is worth putting in a little extra effort to qualify for higher buy-in events through low buy-in satellites to earn more points. Further details can be found on the Americas Cardroom and Black Chip Poker websites. Sunday´s schedule looks impressive, with eight tournaments starting from 1:00pm (ET). If you are unable to make such an early start, the good news is that the first four events in the Mini Online Super Series each have extended late registration periods in order to help the tournaments meet their lofty guarantees. The important thing is that you do not miss out on the opportunities to start OSS Cub3d with a bang, and grab an early position on the OSS Cub3d Mini Online Super Series leaderboard.